A date has been set for the long awaited Stagecoach minibuses to begin operating around Ashford. 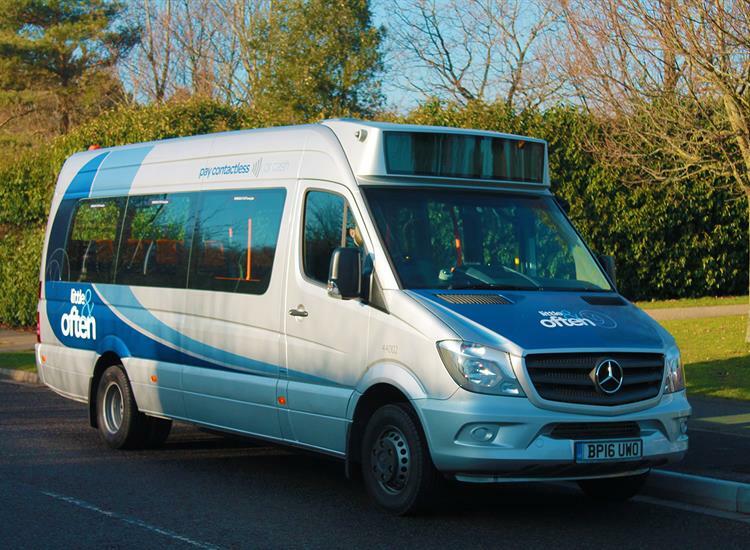 The fleet of new Mercedes minibuses will hit the road from Sunday 12th February. The ‘little & often’ service will be the only one of its kind offered by a bus operator in the UK, providing buses every five or six minutes along routes serving the hospital, town centre and rail station, Kennington and Park Farm. Stagecoach has also promised ‘ultra-convenient’ payment options so that customers can use contactless payment methods in addition to cash to buy tickets. ‘Little & often’ buses will run from about 6am to 11pm every day, including Sundays and bank holidays. Three buses an hour on the existing route B from Park Farm will become ten buses per hour, while Kennington and Willesborough will have up to 12 buses an hour running to and from the hospital. Philip Norwell, Stagecoach South East managing director, said: “We’re always looking for better ways to help people get around town. That’s why, working with Kent County Council and Ashford Borough Council, we’re introducing little & often. Stagecoach have invested £2.8 million in the 30 Mercedes Sprinter vehicles with faux leather seats and Euro 6 specification low-noise engines, representing the latest clean engine technology. It’s hoped that the new service will ease congestion as an alternative to driving the car. In addition, bus times on routes A and G will be adjusted and route E will be extended to serve the William Harvey Hospital. Routes B and C will become ‘little & often’. Kennington will be served by route B. The ‘little & often’ routes will only be operated with the new Mercedes minibuses. Larger buses to cater for the school peak will continue to run. Speaking about the new service, Cllr Gerry Clarkson, leader of Ashford Borough Council, said: “We know that frequent and well connected bus services help keep car use down. “This new venture underlines the commitment we have as part of the town’s growth strategy to work in partnership with Stagecoach. “Faster and more reliable bus journeys, fewer cars, and less pollution is better for everyone in and around our town. “Ashford Borough Council therefore welcome this positive investment in Ashford’s transport network which is also the sign of another successful business investing in the borough."